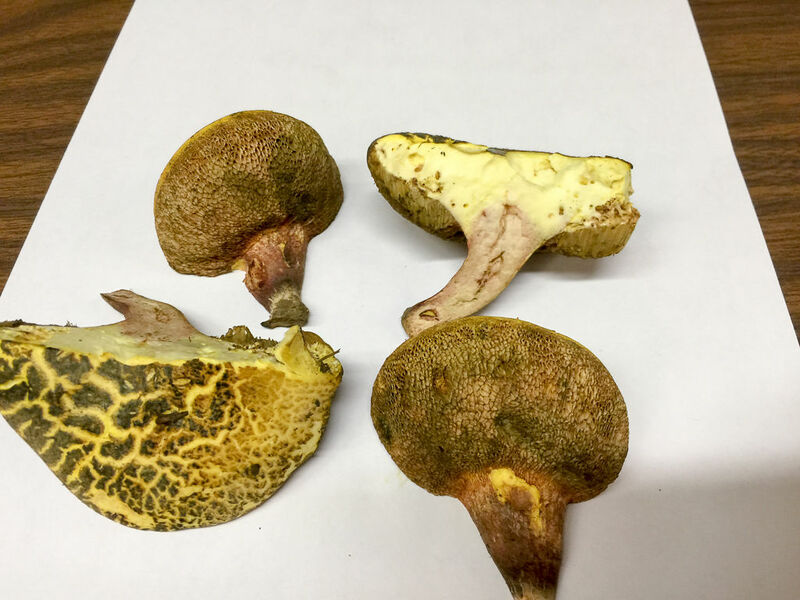 Lots of species were brought in to the meeting, many of the boletes were from north park. Quite a contrast in the kind of species found on Saturdays walk at Camp Guyasuta. Identified by the club identifiers La Monte HP Yarroll, Scott Pavelle and others. Species list entered by Richard Jacob. monotropa uniflora (ghost plant, Indian pipe) – not a fungi. There were also an unidentified bolete, some unidentified Russula and a Mycena species. Amanita citrina. By Richard Jacob. Coprinus variegatus. By Richard Jacob.